Dog aggression could be very dangerous if not treated well. If you have a dog, and if it is showing some unexpected aggression, then this article is for you. 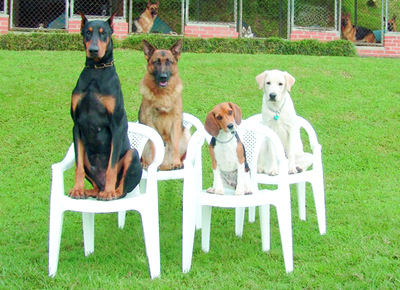 Don’t get afraid or worried if your dog is behaving weird because it is found that more than 99% dog aggression cases can be fixed. One of the important things while fixing dog aggression is that if you get scared, then you can’t fix your dog’s aggression problem; you will worsen it. Read the list below to understand if your dog has aggression problem. Aggression to Moving Objects: Suddenly, your dog starts showing aggression to moving objects. Also, it might not seem interested to wake up. 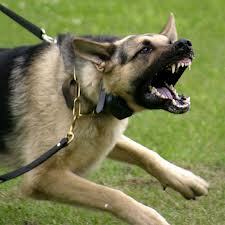 Stranger Aggression: This is another common indication of dog aggression. Suddenly, your dog might show anger to strangers. There are 2 possible causes behind this type of aggression. One is anxiousness and the other one could be feeling not safe. Dog to Dog Aggression: Sometimes, one dog shows aggression to other dogs. This is also one of the most common types of aggression. They might try to take control, so they start showing aggression. Food Bowl Aggression: This is considered one of the dangerous types of aggression as even well trained dogs could be a victim of this kind of problem. To fix this aggression, you could manage individual room for eating. You could also consider shifting meal times and locations. If it does not get fixed, then consult a vet as it could be a health issue. Random Aggression: This type of aggression is difficult to treat as no specific causes are noticeable. Sickness or mental problems could be the reason behind this aggression. So, do consult a vet. We all love dogs. They are like friends. Sometimes, they show aggression which could be really dangerous if you don’t give proper importance to it. The above indications are the most common indications of dog aggression. If your dog has something common with them, then treat it quickly.